So I was reading an interesting article on copyright in regards to books. This got me to thinking what is the impact of copyright in regards to cars? We all have heard about the recent idea that car makes wanted to stop you from working on your car. What really interest me though is design copyright. When can we all start building our own VW beetles, Model T’s, or other replica cars? Well it’s an interesting bit of legal reading that I as a layman can but try and interpret. Ok got all that? So when can you as “Joe wants-to-build-a-car” I’m sure that was a German name translated start building and selling authentic looking model T cars? Just don’t call them Model T’s cause trademark law, and I don’t even want to get into that can of worms. Well if we take the assumptions above the law says 95 from the date of the publication (selling of a Model T) or 70 years from the death of the copyright holder (Henry Ford). 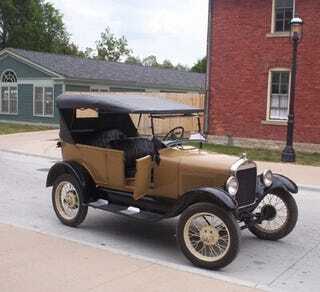 So assuming no one renewed the copyright you have 1 more year to wait to start making your model T’s! More likely then not they renewed the design patent and currently pre 1978 patents are not searchable online. The renewing of patents is a weird thing, it’s a good section of the law, but basicly add 67 years to the end of the term, so 2084 the copyright on the first mass produced car will probably expire.